Billy Ray Cyrus will forever be known for the catchy, lightweight single "Achy, Breaky Heart," which became a line-dancing anthem upon its 1992 release. 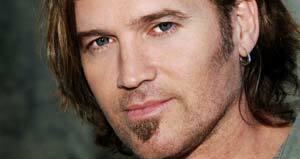 "Achy, Breaky Heart" made Cyrus famous, but it also proved to be his undoing. No matter how he tried, he could not escape the song, nor could he replicate the success. Cyrus' music was never particularly innovative - it owed as much to the country-rock of the Eagles as it did to the new traditionalism of George Strait and the new country of Clint Black and Garth Brooks - but his musical worth became irrelevant in the wake of the success of "Achy, Breaky Heart" and its accompanying album, Some Gave All. The album became a crossover success after the single became a hit, spending 17 weeks on the top of the album charts. Part of Cyrus' success was due to his handsome, hunky good looks, and part of it was due to the catchiness of "Achy, Breaky Heart." However, both his good looks and the single were soon forgotten, and just two years after Some Gave All ruled the charts, Cyrus virtually disappeared from both the pop and country charts and became part of the long history one-hit wonders. Enamored of baseball, Cyrus intended to become another Johnny Bench as he grew up in Flatlands, KY. While attending Georgetown College on a baseball scholarship, he bought a guitar and decided immediately that athletics wasn't the proper direction for his life. Instead, he formed a band called Sly Dog with his brother and gave himself a ten-month deadline for finding a place to play. One week prior to that cutoff date, the group went to work as the house band for a club in Ironton, OH, where they remained for two years. When a 1984 fire destroyed the bar - and Cyrus' equipment - he moved to Los Angeles to pursue his career. Eventually, he decided to return to Kentucky and commuted regularly from there to Nashville in search of a record deal. Grand Ole Opry star Del Reeves got Mercury Records to take a look, and division head Harold Shedd signed him in the summer of 1990. When his first album came out in mid-1992, Cyrus - with his good looks, sculpted body, and the infectious "Achy, Breaky Heart" - became an instant groundbreaking sensation. Spending five weeks at the top of the country charts, "Achy, Breaky Heart" made his debut album, Some Gave All, a blockbuster success. By the time it fell off the charts, it had sold over nine million copies and spent 17 weeks on the top of the pop charts. Despite his attempts, Cyrus wasn't able to replicate the success of Some Gave All. He quickly followed the album with It Won't Be the Last in the summer of 1993. Initially, the album sold well, entering the pop charts at number three, but it fell far short of expectations by only reaching platinum status. Storm in the Heartland, delivered in the fall of 1994, managed to go gold, even though it was ignored by country radio. However, by the time it finished its chart run, Cyrus had slipped from the public's eye. When he returned with the harder-edged, introspective Trail of Tears in 1996, his audience had virtually disappeared - the album only spent four weeks on the charts and didn't even go gold. Shot Full of Love followed in 1998 and Southern Rain was issued two years later. In March 2001, Cyrus hit TV screens in the role of a country doctor moved to Manhattan in the sitcom Doc.